When your customers are forming their first impressions, uniform rental can make all the difference! Your car, truck, van, or SUV is one of, if not THE biggest purchase you have ever made. It only makes sense that you would be hesitant to trust your vehicle with just any one of the seemingly hundreds of automotive repair shops in Perryville. So you do your research. You look at reviews online and narrow down your choices before visiting each location. The Joe Shmoe Repair Shop has received pretty good reviews, but when you show up you are shocked to find the mechanics wearing jeans and t-shirts. Are they even qualified to work on your car? Or did the shop just grab some guys off the street? Pass. Your next stop is the XYZ Repair Shop. The mechanics seem to be wearing uniforms, but it is hard to tell under all of those stains and patches. If this shop doesn’t care about how its employees look, will they really care about your vehicle? Pass. Your final stop is Zippy Auto Repair. This shop has received similar reviews as the previous two, but its employees are outfitted in clean, fresh uniforms, putting your mind at ease. In the words of Goldilocks, “this one is just right.” You hand over your keys, knowing your car is in good hands. As you can see from the above scenario, uniforms can make a big difference. After all, it takes a potential customer less than a second to form an opinion of your business. And while we have all been taught that we should never judge a book by its cover, let’s face it; everyone does! So what kind of first impression are your mechanics giving your customers? Uniforms can help you attract business and so much more! Credibility and Appearance: Matching, professional uniforms help establish an element of credibility. Appearance is everything, so they say. Employees: Uniforms help establish a sense of teamwork and comfort that will, in turn, help boost morale and productivity. Branding: Uniforms are a great way to further the branding of your company. This will also help further credibility. 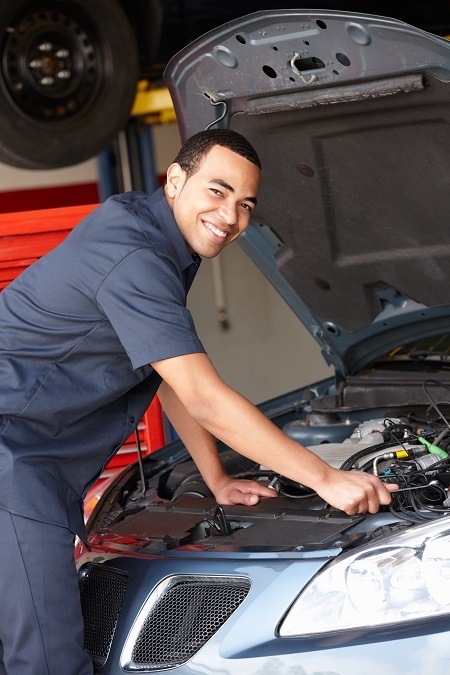 Durability: In the automotive repair industry, clothing can take a beating. Stains, snags, and tears are part of the job. Fortunately, your uniform rental company will handle cleaning and repairs as part of your contract, ensuring your employees always look their best. Uniform rental is traditionally the most cost-effective way to outfit your employees with clean, fresh uniforms week in and week out. For over 30 years, Lord Baltimore has provided top quality uniform services throughout Maryland, Washington DC, northern Virginia, Southern Pennsylvania, and Delaware. As an independently owned, local business, we understand your needs and are confident in our ability to provide you with service above and beyond uniform rental industry standards. Lord Baltimore offers proven, dependable solutions that will help your business succeed. To learn more about how Lord Baltimore can better meet the Uniform Rental needs of your Perryville business, please contact Joe Bateman at 800-292-1224 or visit LordBaltimoreUniform.com. We also handle towel rental for gyms and salons; apron, towels, and uniform, shop towel, fender cover and mat rental for manufacturing and automotive industries. This entry was posted on Wednesday, May 21st, 2014	at 2:19 pm	. You can follow any responses to this entry through the RSS 2.0	feed. Both comments and pings are currently closed.